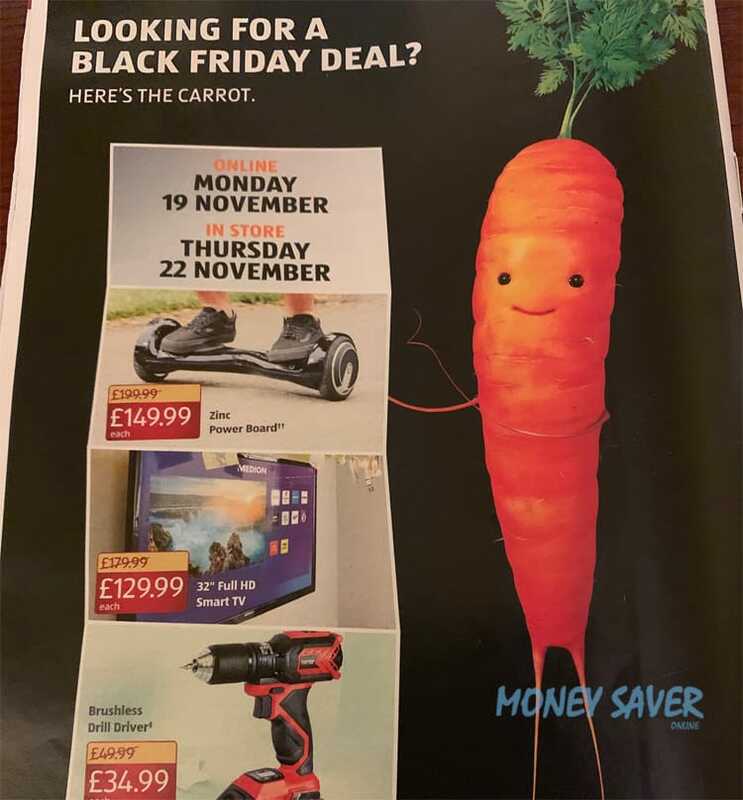 ALDI give you the carrot on their Black Friday deals within the new leaflet found in stores! Including some tasty treats, you will see the highlights for 2018 include a 32-inch FULL HD Smart TV for only £129.99 and a Hover Board for under £150. While ALDI only tease a drill on top of the above items, we are expecting a lot more deals when their Black Friday event starts on Monday 19th November, 2018. At first it’s only online, but will head to store by Thursday of the said week. ALDI has been one of the best in terms of marketing their Black Friday and Christmas offers, so expect these to sellout fast!